Mandvi, a picturesque town and once an important port city is located in Kutch district of Gujarat. Kutch, is one of the largest districts in India, second only to Leh-Ladakh. 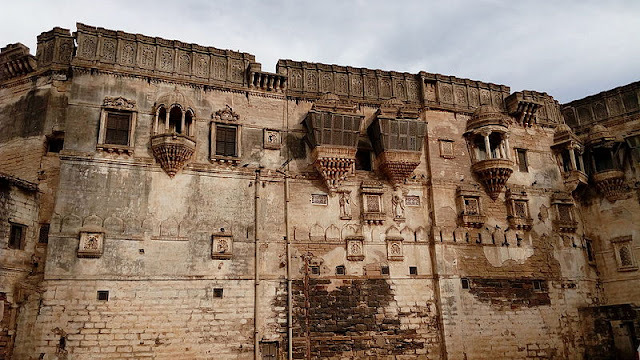 Having uncovered the many secrets that Mandvi has to offer to any discerning traveler in our earlier blog, we decided to explore other exciting excursions around Mandvi. 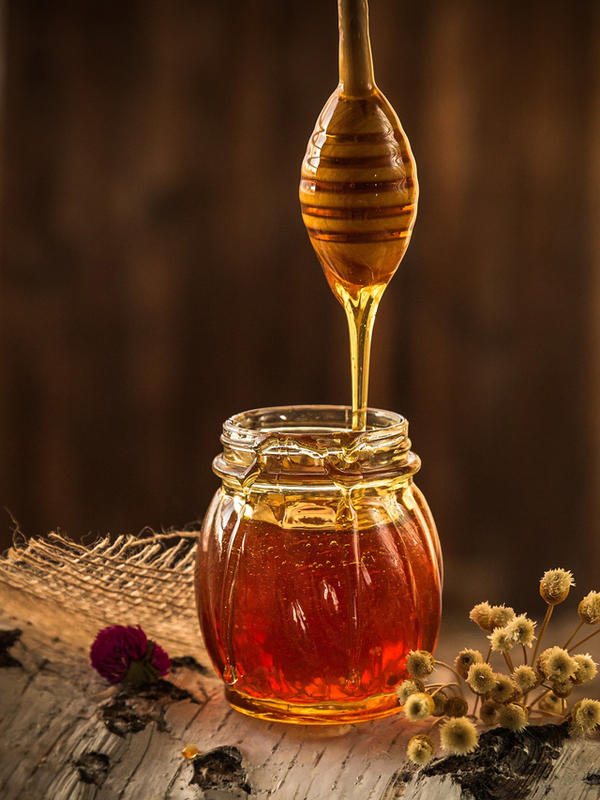 Whether you like heritage sites, wildlife, glimpses of rural life or exploring your spiritual side, these must see attractions around Mandvi will leave you awestruck. 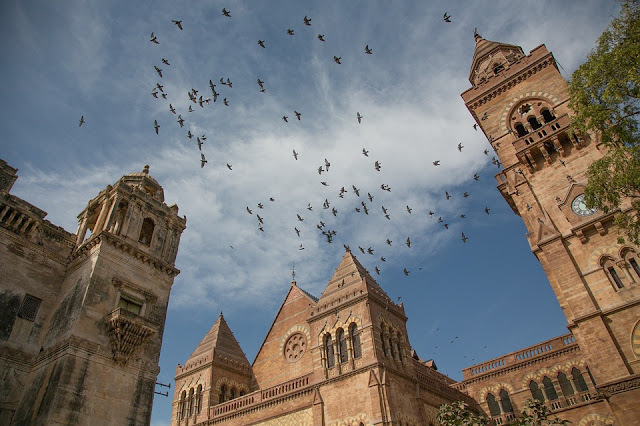 Prag Mahal - Located next to Aina Mahal in Bhuj (60 km, 1 hour 15 minutes by road from Mandvi) and named after Rao Pragmalji II who commissioned it, Prag Mahal is a 19th century palace designed by Colonel Henry Saint Wilkins in Italian Gothic style and built with red sandstone and Italian marble. Inside the palace you can visit the main palace halls and Durbar hall which has beautiful chandeliers and classical statues. You will find Corinthian pillars placed around the palace and for an exhilarating view of the city be sure to climb the bell tower. If you are interested in ancient architecture, intricate carvings and beautiful art, this palace is a must see attraction. Visitors can visit everyday between 9 am till 12 pm and 3 pm till 6 pm except Thursdays. Aaina Mahal - Located at a distance of 60 km from Mandvi at Bhuj (Capital of Kutch), Aaina Mahal is also known as "Hall of Mirrors. Built during the rule of Rao Lakhpatji, it can be reached by 1 hour 15 minutes by road from Mandvi. Damaged partially during the Gujarat earthquake, some parts of Aaina Mahal have been restored and visitors can visit everyday between 9 am till 12 pm and 3 pm till 6 pm except Thursdays. Admire the artistry of master craftsman Ramsinh Malam who designed Aaina Mahal in an unique Indo-European style with locally sourced materials. Elaborate and intricately designed windows and doorways, Venetian chandelier, mirrors and glass work, darbar hall, suits of royal family members and more make this palace a must see attraction on our list. 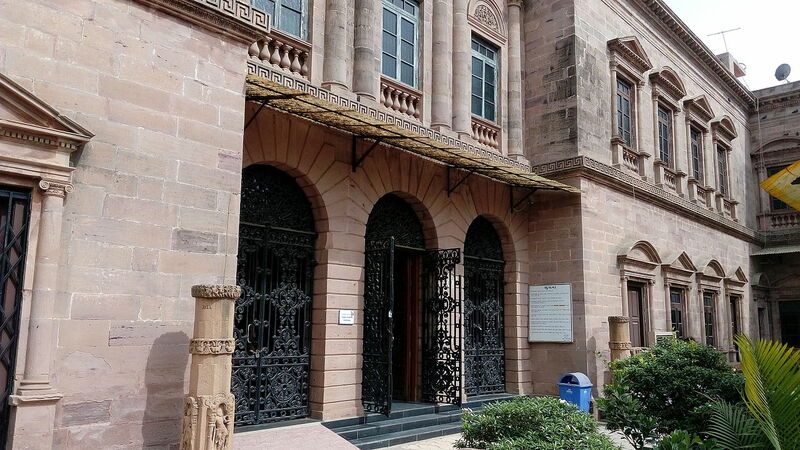 Kutch Museum - The oldest museum in Gujarat, founded in 1877 by Maharao Khengarji lies approximately 59 km (1 hour 10 minutes by road) from Mandvi in heart of Bhuj. A great way to understand the history of Kutch, the museum houses the collection of Kshatrapa inscriptions, samples of the extinct Kutchi script and collection of Kori coins (local currency). 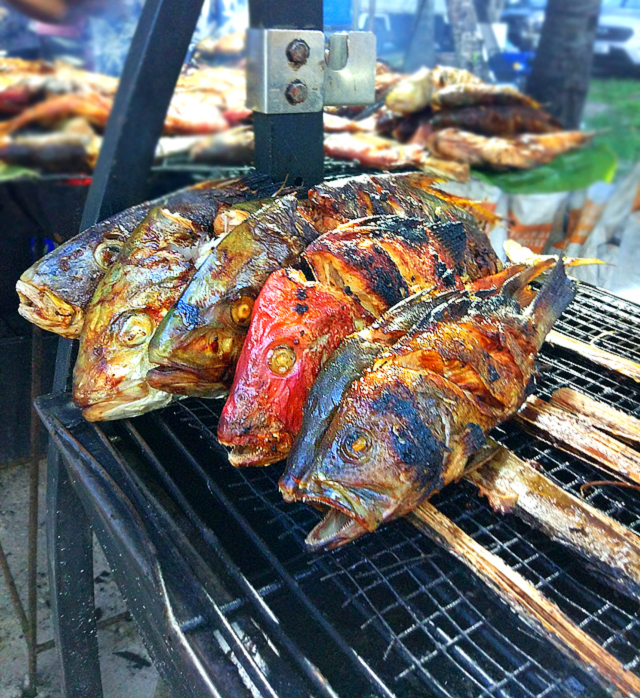 A visit will help you know more about tribal cultures, ancient artifacts, folk art and crafts, sculptures, paintings, arms, musical instruments and more. 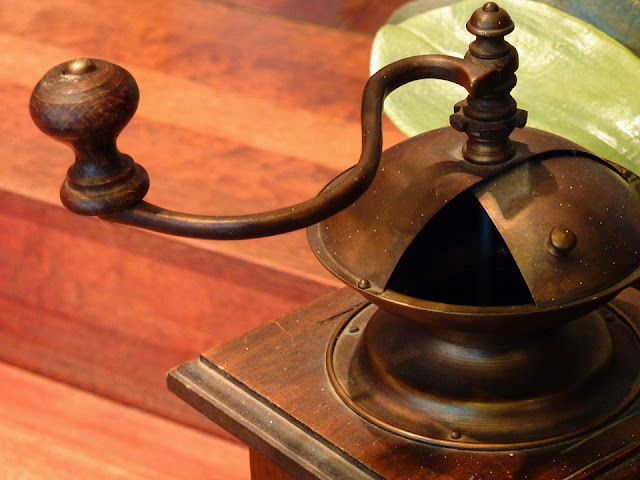 The museum can be visited from 10am to 1pm and 2:30 pm to 5:30 pm everyday, except Wednesdays and public holidays. 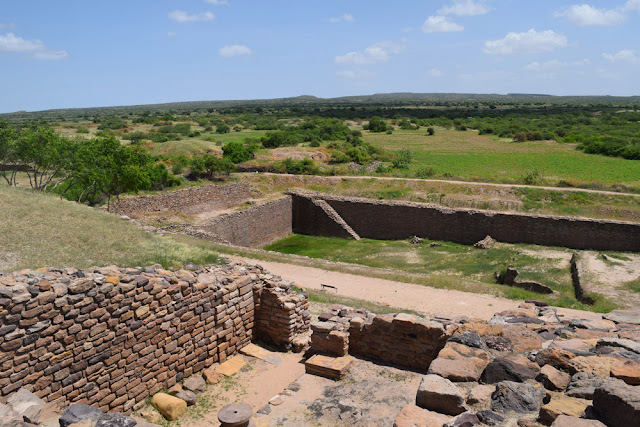 Dholavira - An archeological site, a visit to Dholavira locally known as Kotada unfolds many mysteries surrounding the historic ruins of the Indus Valley Civilization. The larger and magnificent excavation of the Indus Valley Civilization, Dholavira is surrounded by the mystic Great Rann of Kutch. The site showcases the world’s earliest and planned water conservation systems, remains of a citadel, artifacts, world’s first signboards written in ancient Indus script and tells a fascinating story of the seven stages of the civilization-from development to maturity to decay. A trip to Dholavira can be planned to be a one day affair since there are no accommodation facilities. Dholavira can be reached by road from Mandvi in approximately 5 hours 15 minutes (268 Km). Kalo Dungar - The highest point of Kutch, Kalo Dungar (black hills) lies close to the village of Khavda. The 400-year-old Datatreya temple is one of the famous attractions at Kalo Dungar. According to legend, Lord Datatreya- the incarnation of the Hindu holy trinity – Brahma, Vishnu and Mahesh offered his body to starving jackals while constantly regenerating. The priests of the temple follow a fascinating ritual till date and offer prasad to jackals after the evening aarti. 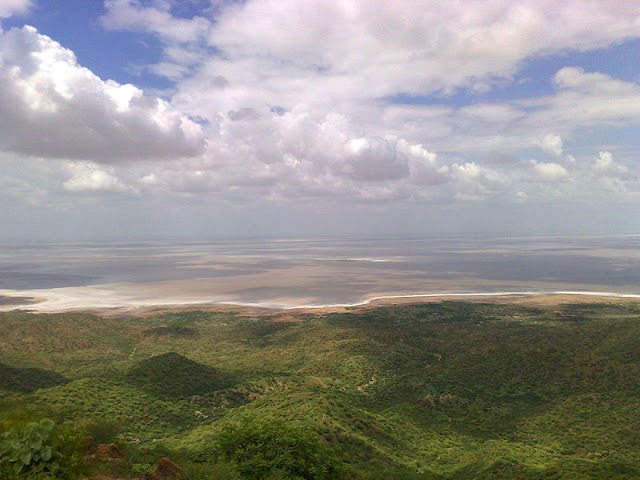 At the highest point of Kalo Dungar, one gets to see panoramic views of Great Rann of Kutch. En route one can also witness the magic at magnetic fields as your vehicle defies gravity! A visit to Kalo Dungar from Mandvi takes approx 2 hours 45 minutes (149 km) and should be undertaken by a hired or personal vehicle during early mornings or late afternoons. 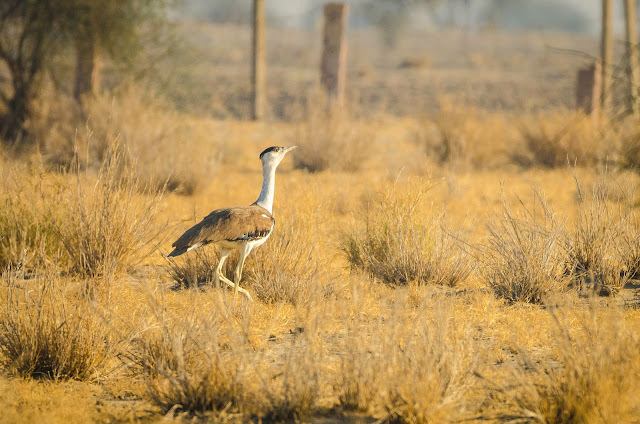 Great Indian Bustard Sanctuary - One of the largest conservatory of the Great Indian Bustard, the Sanctuary is located in the Abdusa Taluka near Nalia in Kutch. Stretched over two square km of grasslands, the sanctuary attracts visitors from all corners of the world to catch glimpses of this large ground dwelling bird with long neck and ostrich like legs. The Great Indian Bustard Sanctuary lies approximately 80 km from Mandvi and can be visited by road in 1 hr and 25 minutes. Great Rann of Kutch - The largest salt dessert in the world, Great Rann of Kutch is a seasonal salty marshland and home to migratory birds like flamingos. A beautiful white expanse, the Rann offers never ending views of white dessert formed by salt crystals, a picturesque sunset and an fascinating experience during the full moon night. The government of Gujarat hosts a three month festival every year known as "The Rann Utsav" every year which starts from mid November and can be reached from Mandvi in 2 hours 25 minutes by road (approximately139 km). 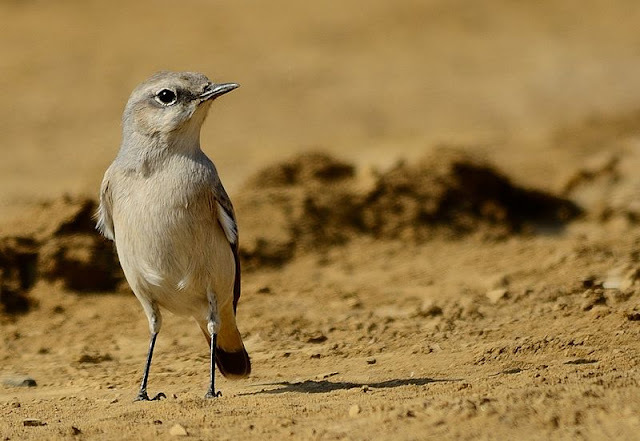 Narayan Sarovar Sanctuary - Apart from being a sacred pilgrimage site for Hindus, Narayan Sarovar sanctuary is home to a varied species of wildlife including a few endangered ones. The sanctuary has almost 250 different species of flowering plants and 184 different species of birds including all three species of Great Indian Bustard. 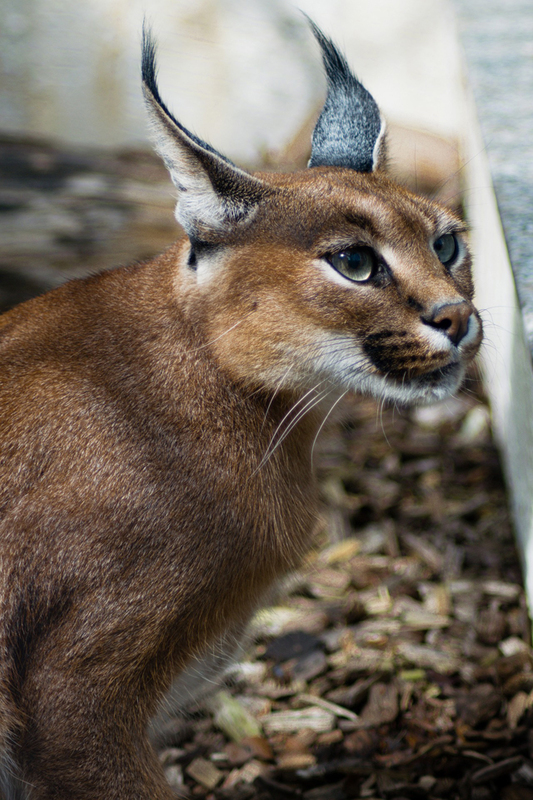 The sanctuary is home to Chinkara (Indian gazelle), wildcats like the Caracal (African or Persian Lynx), Desert Fox, Indian wolf, Spotted deer and more. Narayan Sarovar lies at a comfortable distance of approximately 144 km (2 hours and 30 minutes) from Mandvi. 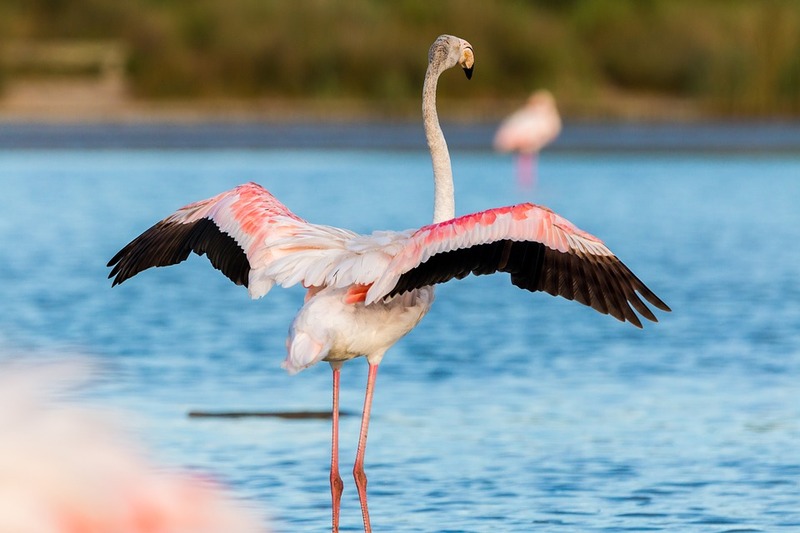 Kutch Desert Wildlife Sanctuary - One of the largest sanctuary and seasonal saline wetland area in Kutch state, the sanctuary is spread over 7506 sq km and one of its kind. 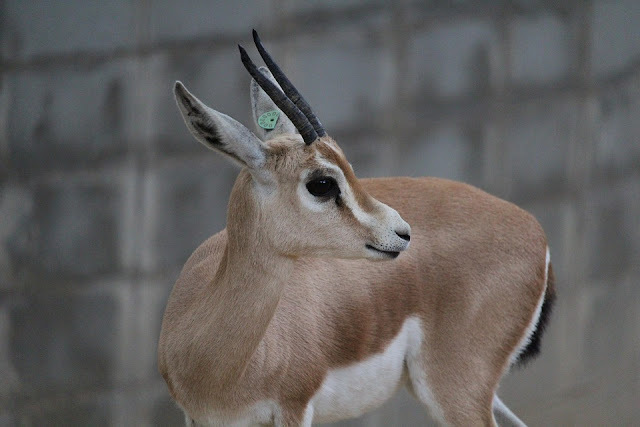 Chinkara, fox, hyena and nilgai are commonly spotted in the sanctuary along with many resident and migratory birds. The ancient fortified city of Dholavira, excavated here, attracts many archaeology lovers to this site. One of the other attraction of the sanctuary are embedded fossils of vertebrates, invertebrates and plants in the Jurassic and Cretaceous rocks on Khadir, Kuvar and Pachchham bets. 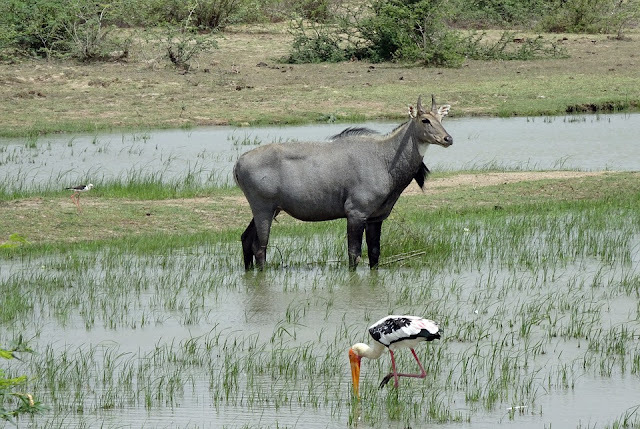 Banni Grassland Reserve - Largest natural grassland in Asia and protected forest area, Banni grassland located approximately 145 kms from Mandvi (3 hours by road) is home to great biological diversity and a few pastoral communities . The various sized wetlands attract a huge number of migratory birds during winters. 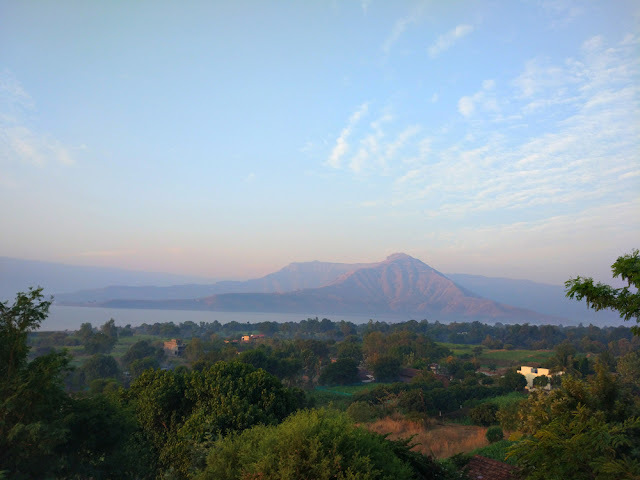 The reserve has approx 37 grass species, more than 250 bird species and domesticated animals like Banni Buffalo, Kankrej Cattle as well as wildlife. The reserve has also been identified as one of the last remaining habitats of Cheetah in India. In an effort to promote ecotourism, the government of Gujarat is developing Chari-Dhand Wetland Conservation Reserve, along with the surrounding areas in and around the Banni grasslands. 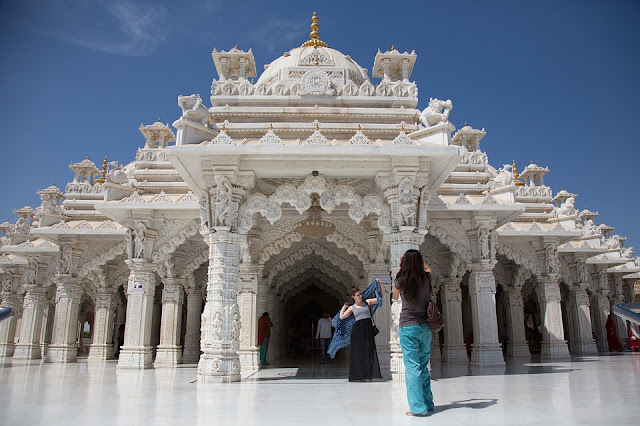 Shri Swaminarayan Temple - A magnificent temple made of marble and gold in Bhuj, Shri Swaminarayan Temple is located approximately 59 km from Mandvi (1 hour 10 minutes by road) and is spread over 5 acres of land. Reconstructed due to partial destruction during earthquake, the temple features intricately carved marble ceiling and pillars, idols of deities and domes made of gold , meditation hall, bhojan hall, a separate temple for women and throne of Swaminarayana. The temple is open for devotees from 6 am till 7 pm everyday and closed during afternoons. 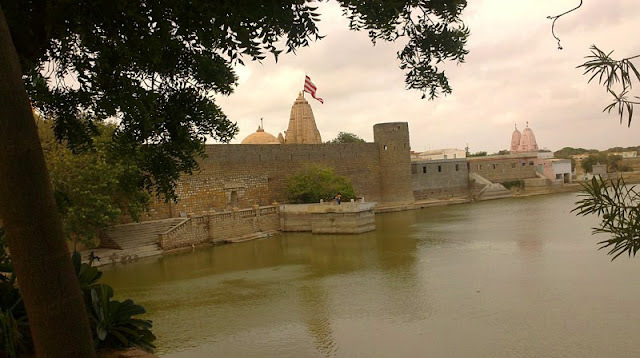 Narayan Sarovar - Located in Lakhpat taluka in Kutch district, Narayan Sarovar is one of the holiest lake of Hindus. A sacred pilgrimage destination of Hindus, the lake is surrounded by large number of temples. According to Hindu mythology, the lake was formed when the foot of Lord Vishnu touched the land resultig in spurting of water. One can visit Narayan Sarovar easily from Mandvi as it lies at a comfortable distance of approximately 144 km (2 hours and 30 minutes). Koteshwar Mahadev Mandir - Located approximately 146 km (2 hours 35 minutes by road), Koteshwar temple is dedicated to Lord Shiva. The temple stands on the westernmost point in India, near to Narayan Sarovar and is associated with legend of a boon granted by Lord Shiva to Ravana. Enjoy glimpses of the vast ocean after a peaceful visit to the temple. On a clear night one can even see lights from Karachi, Pakistan. So, whichever side of Kutch you decide to see, its rightly said that "Kutch nai dekha toh kuch nai dekha."